The R script can be downloaded from here. It can be run using "Rscript LiBiNormPlot.R <fileroot>". It produces the following four graphs as png files alongside the text files from which they are derived. 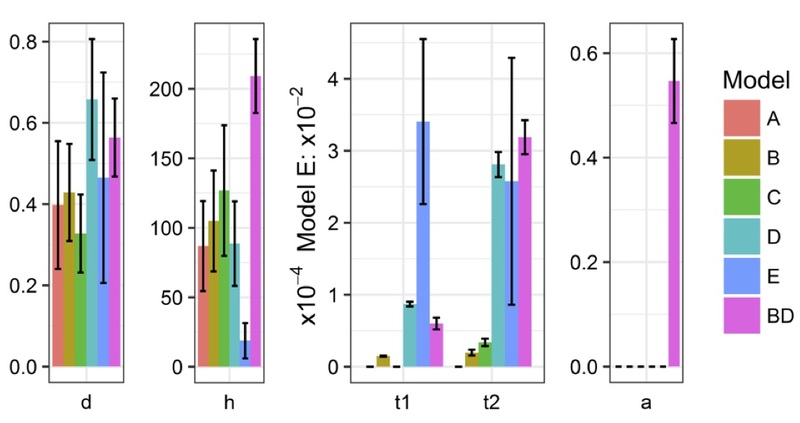 Note that the bias plot currently uses a different convention to that of figure 4A of the accompanying Cell Systems paper. A straight line through the origin in the paper would translate to a horizontal line at y = 1 in the graph produced by LiBiNorm. Global distribution of sequencing reads. ends and ordered by length, shortest on top. 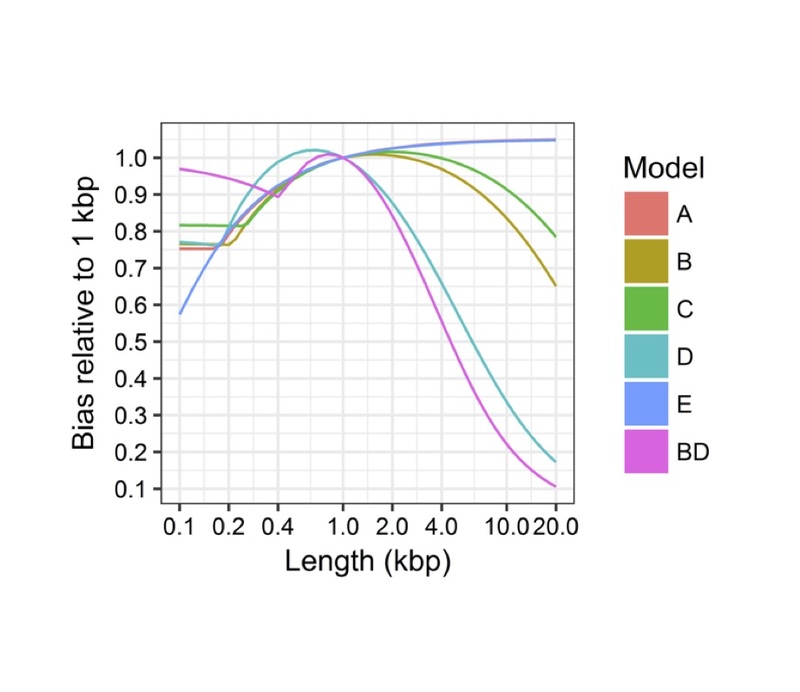 Read density along RNAs is indicated by colour intensity. 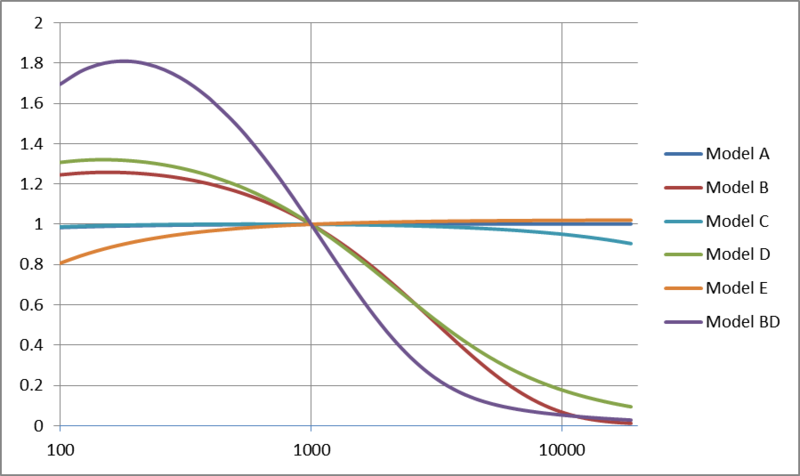 plotted as a function of length for all fitted 6 models. 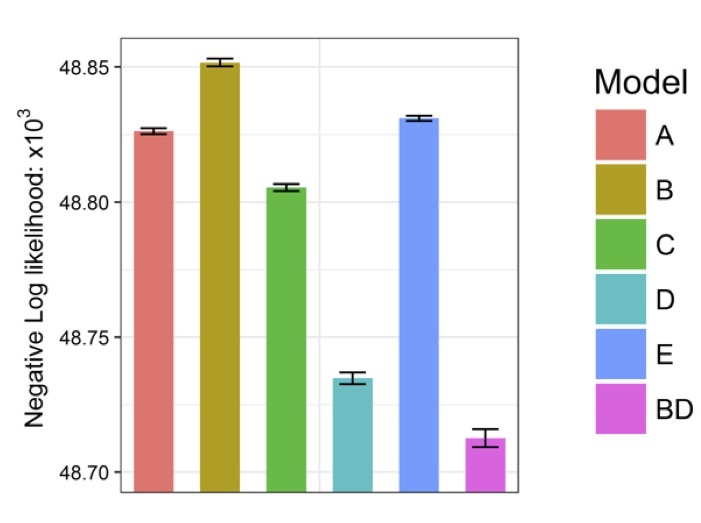 LiBiNormPlot.R requires four standard R packages in order to run: ggplot2, reshape2, gridExtra and scales. These may already be installed as part of your R installation. If they are not present, then LiBiNormPlot.R will generate an error message to that effect. The packages should be installed from within R (for example as described here). R may indicate that it does not have write access to the directory where packages are installed. If so, then one option is to set the environment variable R_LIBS to point to a directory where the packages can be installed, e.g. by including a line such as the following in a linux .profile file. The plots are produced as lossless 300 ppi png bit maps. The ppi value is set at the start of the script and can be adjusted to change the resolution. 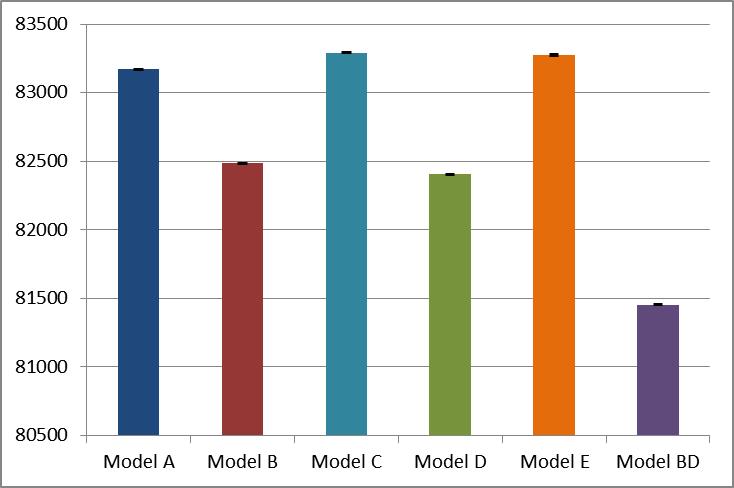 The parameter estimates, and an indication of their uncertainty, for each model. The figures, their labels, and their interpretation are identical to the R figures above. This approach allows the graphs to be copied and pasted as windows metafiles (i.e. vector graphics) into a word document which results in a smaller document size whilst retaining graphics quality. It can also be used as a starting point for generating vector graphics files for papers.